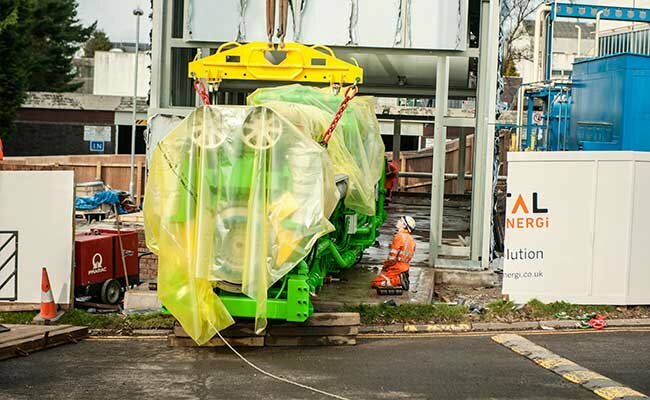 The 4.0MWe Combined Heat & Power (CHP) Engine destined for Ninewells Hospital has completed its 1,200+ mile journey from Innsbruck, Austria to Tayside where it is being installed at the heart of the £15.4 million energy solution being delivered by Vital Energi. The project, which was procured through the Carbon & Energy Fund, will see Vital Energi deliver a state-of-the-art energy centre at Ninewells Hospital and a range of energy conservation measures, including 22,000 LED lighting upgrades to Perth Royal Infirmary, Stracathro Hospital and Ninewells. 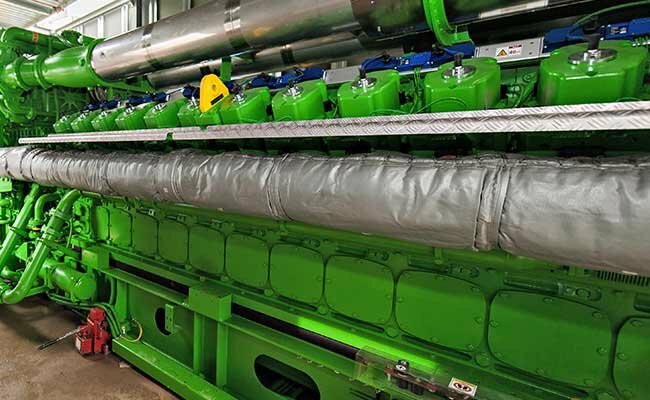 The CHP engine is 12m by 2.9m and weighs 44 tonnes and will be housed in a custom designed acoustic enclosure which will significantly reduce noise. When complete, the renovated energy centre will provide 90% of the power and 100% of the heat. 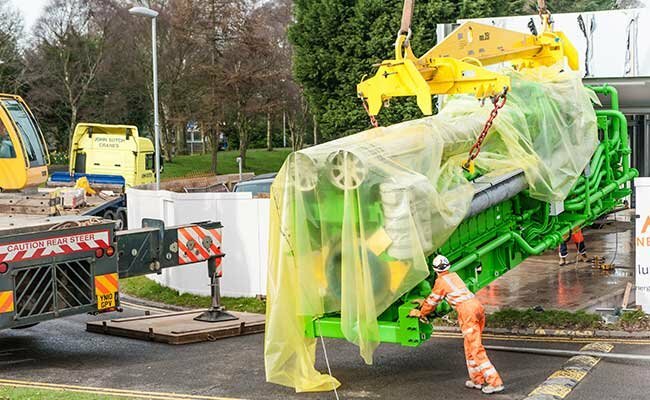 In excess of 35% of the heat is generated by the newly installed CHP providing resilient heat for Ninewells, which includes Tayside Children’s Hospital. As part of the project Vital Energi will also be installing dual fuel boilers, building management systems, lighting and pipework insulation and the efficiency of the cooling systems will be also improved. 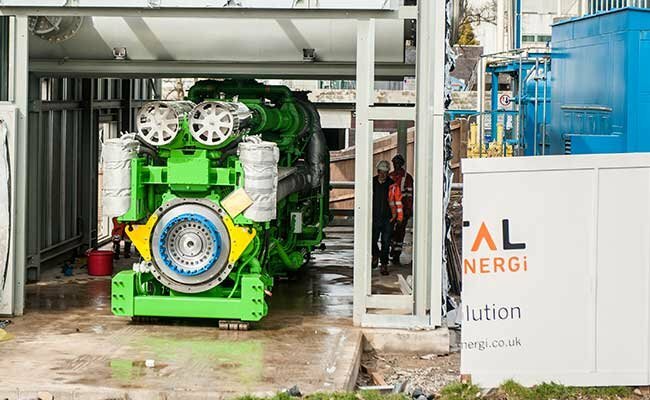 The project includes a 25-year Energy Performance Contract, provided by Vital Energi, which guarantees financial savings of £10.6million and carbon reductions in excess of 287,650 tonnes during the course of the contract. 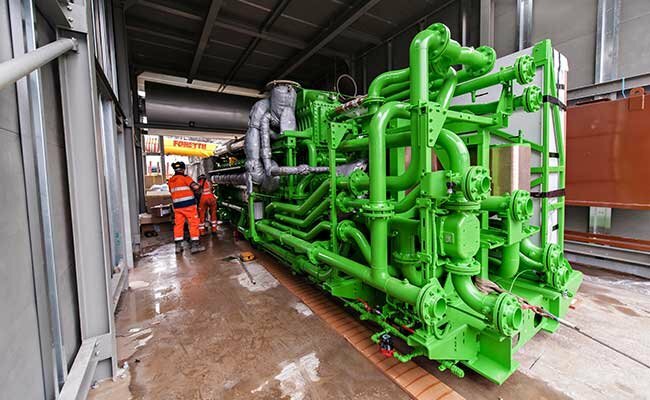 NHS Tayside Head of Property Mark Anderson said, “We are delighted to see the project progress with the arrival of the cogeneration engine at Ninewells Hospital. “The full project is for 25-years and is designed to make our hospital sites more energy efficient and enhance the service and environment for the patients and staff of NHS Tayside.